Posting qualifying scores in both the semi-finals and finals, Union Station claimed the 2015 Illinois District Championship with an overall score of 77.0. 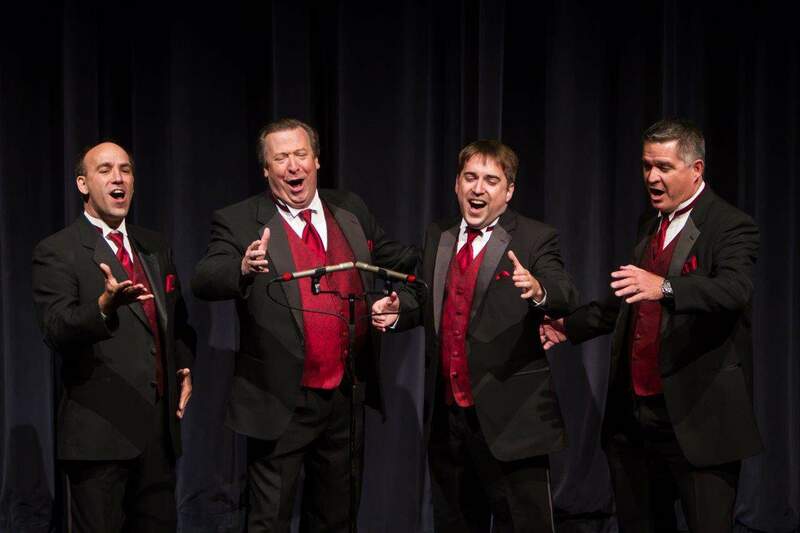 Composed of veteran barbershoppers John Davis (bari), Jay Giallombardo (bass), Oliver Merrill (lead), and Steve Davis (tenor), this Chicagoland-based group will join 2010 District Champs and 2015 International Finalists After Hours (86.8 average) as ILL District representatives at the 2016 International Contest in Nashville, Tennessee. 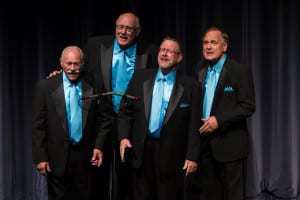 Overall, 26 quartets competed over the weekend. Thank you for sharing all of your talents with us, and congratulations again to our champions. The 75-man strong Sound of Illinois from Bloomington captured the Illinois District Chorus championship with a solid score of 84.0. With the win and the score, the chorus will represent the Illinois District at the international contest in Nashville in 2016. Coming in second with a strong 82.5 average was The New Tradition chorus from Northbrook, who is in a strong position for a wild card berth at the 2016 international contest. Congratulations to all of our competitors! 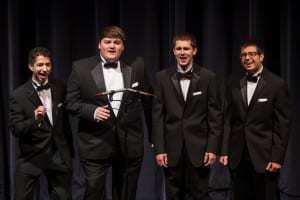 Chicago-area college quartet Boom! 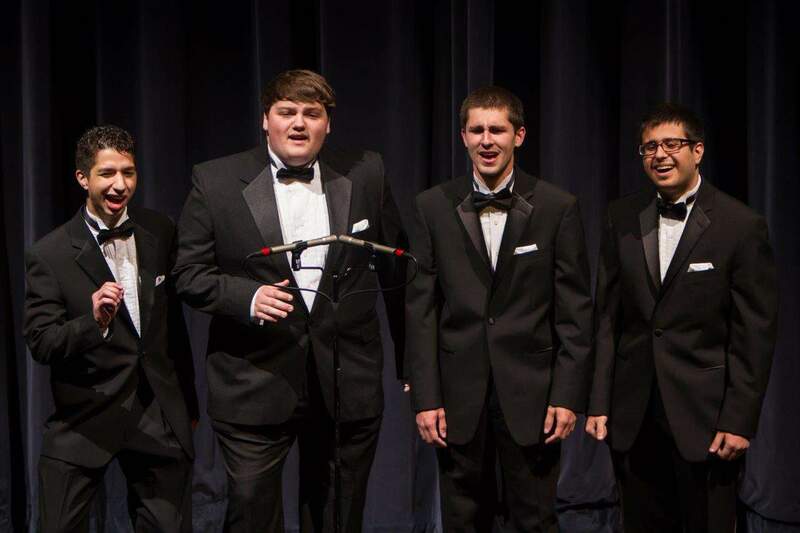 Shakalaka earned the right to represent Illinois District as our Collegiate Quartet Champions. They will travel and compete in Nashville in 2016. And congrats also to Cruise Control, our 2015 Illinois District Senior Champions. Congrats to both groups and all competitors! 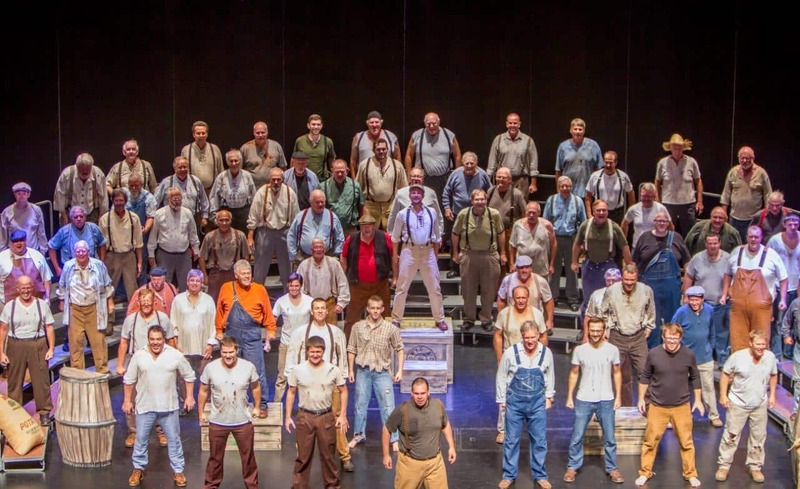 A group of 30 men, all members of Bloomington High School’s Barbershoppers during the 1970s, formed a reunion chorus that performed for the Illinois District convention of the Barbershop Harmony Society Saturday at the BCPA. Singers came from Arizona, Texas, Michigan as well as Illinois. 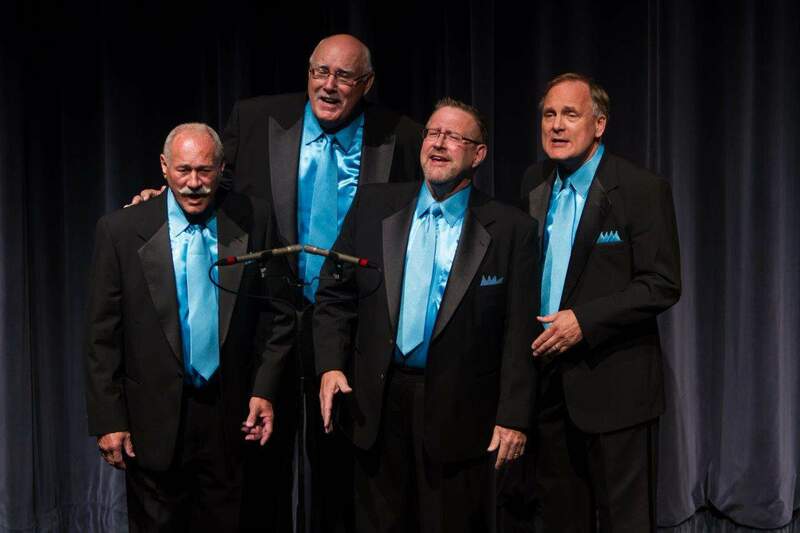 Formed by BHS choral director Sam Anliker, who also led Bloomington’s Sound of Illinois (SOI) Chorus in the Seventies, the BHS Barbershoppers performed for school functions and traveled to several states, representing the school from 1971 to 1978. Anliker was unable to attend because of a conflict, but one of the group’s own stepped in to lead the singing. Dwayne Cooper of Austin, Tex., sang with the BHS group beginning in 1976. 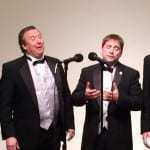 He directs his own chorus in New Braunsfel and holds the office of treasurer in the Barbershop Harmony Society (Nashville). As an added feature, 10 members of the current BHS Barbershoppers joined their alumni for the final song. Among those attending were Bob Bryant, principal in the 1970s, and Sam Anliker’s predecessor as choral music director, Mary Selk, and current choral director, Julie Sandy. Bret Reinthaler, a member of SOI and former BHS Barbershopper, coordinated the reunion. Jim Moses of Manito, 88, who directed the Pekin barbershop chorus for 20 years and won three international championships with the group, was presented with the Music Man Award by Illinois’ Quartet Champions Association of the Barbershop Harmony Society Saturday, September 26. 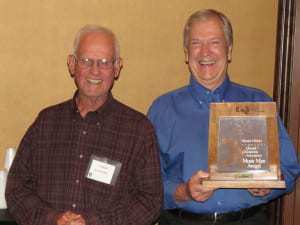 He is pictured here with QCA Secretary Bob Cearnal.